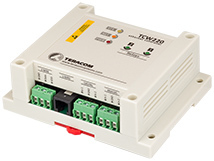 All Teracom’s devices for Ethernet remote monitoring support a graphic user interface, based on a WEB server and at least on M2M protocol. 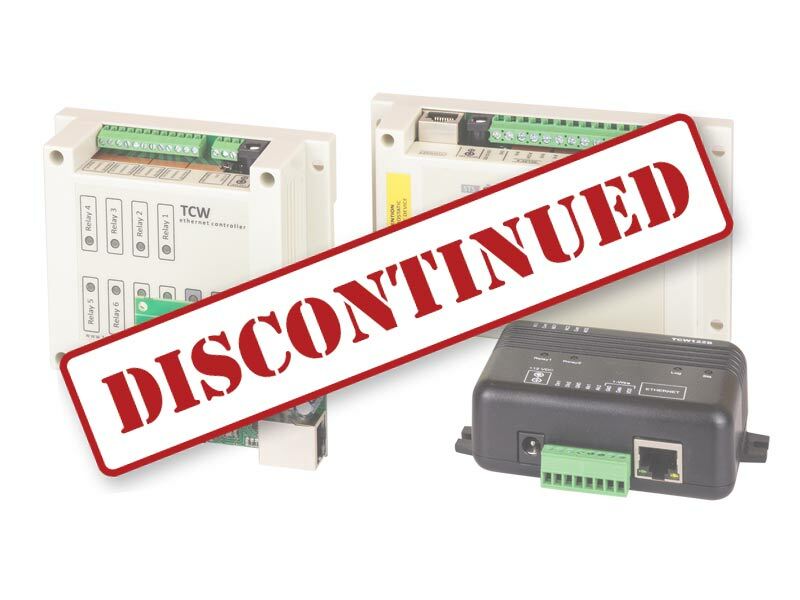 This determines the two main alternatives for their usage – stand-alone or as a part of SCADA system. The graphic user interface (GUI) helps the stand-alone usage. No need for special software to work with the devices. All settings and subsequent remote monitoring and control are carried out in a standard browser – Chrome, Firefox, IE, Opera, etc. All devices have 3 years warranty. Scheduled control and custom functions. MODBUS TCP/IP, SNMP v2, and HTTP API support. 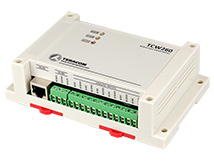 Ethernet analog output module with galvanically isolated ports and MODBUS TCP/IP support. Data logger for up to 70000 records. Temperature, humidity and dew point graphical presentation. 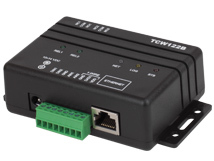 Ethernet energy monitoring module with galvanically isolated ports and MODBUS RTU support. HTTP API and SNMP v1 support for SCADA software applications. HTTP API and SNMP v1 support for data acquisition (SNMP manager) software applications. VLAN and MAC filters. SNMP v1 support for SNMP manager applications. 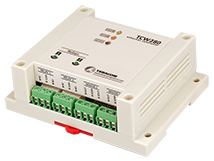 Bi-directional remote relay control with client–server model for industrial automation. VLAN and MAC filters support. SNMP v1 support for M2M application. User manuals, last firmware and MIB files for discontinued products. 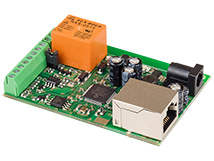 We manufacture two series of modules for Ethernet remote monitoring. Ethernet is their main communication interface. 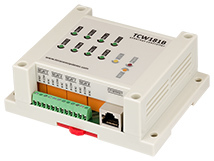 The devices from TCW1xx series are with an 8-bit chipset and use 10MBit connectivity. They are designed to perform simple tasks. These devices do not support TLS encryption for SMTP, data logger, and graph functionality. However, they support at least one M2M protocol. With good planning, they can be part of a small to medium sized systems for home and industrial automation. 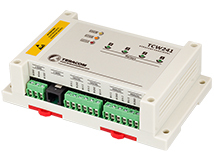 The controllers are suitable for environmental monitoring in data centers and server rooms. 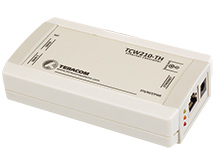 The actively produced devices from TCW2xx series have much more powerful 32-bit chipset and support 10/100MBit connectivity. All they maintain M2M protocols – MODBUS TCP/IP, SNMP v2, HTTP API with XML/JSON status files and HTTP Post for client-server systems. All devices of this series support TLS encryption for SMTP. Some of them support and data logger functionality and the ability to view the recorded data through a standard browser. For more details, see the comparison tables and documentation of individual products. Do you want to become distributor?